HA NOI (VNS) — Over 4,000 enterprises were created in February this year with a total registered capital of VND19.18 trillion (US$913.3 million), a 5.5 per cent year-on-year decrease, the Ministry of Planning and Investment stated. The number of newly established businesses declined 42 per cent compared to January this year, and the registered capital was 56 per cent lower than the previous month, according to the Ministry of Planning and Investment's Business Registration Department. The department said the sharp reduction was due to the long Tet holidays. However, in the first two months of the year, the number of new enterprises and the value of the registered capital were higher than the same period last year. 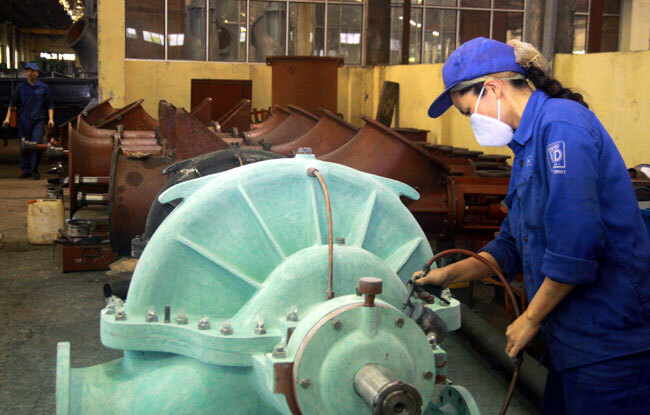 More than 10,800 registrations of new firms were recorded in the country in the two-month period, with a total registered capital of VND62.9 trillion ($3 billion), an increase of 13 per cent and 28 per cent in terms of the number of enterprises and amount of capital, respectively. In the first two months of the year, the total number of enterprises that had dissolved or halted operations was 13,124 units, an increase of 12.2 per cent compared to the same period last year.